Tag Archive | "Product Spotlight"
Jeepin’ spoke with Allen Wiseman, the owner of OX Off-Road, about the company, its products and the thrills of off-roading. Allen, where are you from, and how long have you been a Jeeper? I grew up in Small Town, U.S.A, a place called Wilmington, Ohio. Although an aircraft mechanic by trade, I have done a few different things before OX. I was an aircraft mechanic, DC9 aircraft instructor, dabbled in real estate — buy, fix up and sell — a classic car dealer, and managed a machine shop, just to name a few. As you can see, nothing has kept me captive too long. I guess I jumped around a bit because I have a passion for learning new things. As far as my hobbies go, I have always had a vehicle in the garage to fix up or restore, and for the last 15 years I have played poker semiprofessionally. I’ve been a car guy since I was a little kid. My dad fixed up and raced cars as a hobby the whole time I was growing up. He was a bit of a workaholic and always had us kids helping. I can remember block-sanding cars for him in the fifth grade. I had some 4x4s when I was younger but never a Jeep until I owned OX. Some of the best times I can remember as a teenager were spent off-roading in the woods with my best friend’s CJ that we had put a 304 in and gave a spray can camo paint job to. Now, one of my favorite times of the year is my workcation at Easter Jeep Safari out in Moab, Utah. 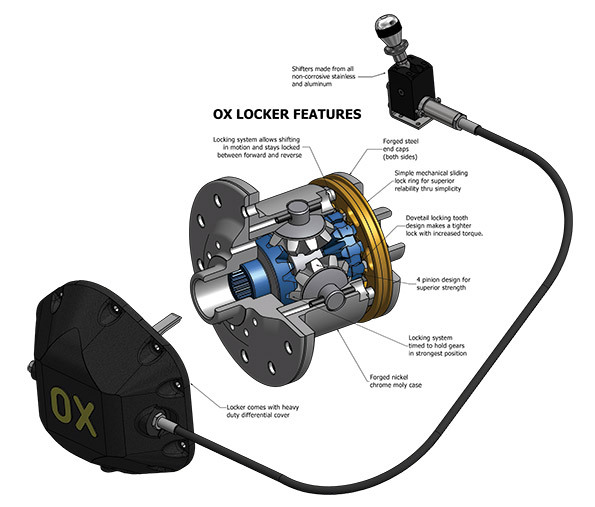 What inspired you to start OX Lockers? I didn’t personally start OX Lockers, but was lucky to get involved with it early on and was hooked on the concept from the beginning. I worked with the company that produced them, along with many other unrelated products, and I had always felt it didn’t get the attention it deserved. Around 2008, the OX product line was sold to a company, and because OX lockers was not the company’s first priority, things started going poorly. In late 2009, the opportunity came about for me purchase the company. It was in the red and bleeding badly. From my involvement, I knew it was due to lack of attention, poor management and absentee owners. I was certain it would be a quick turnaround if I could purchase the company. It was a great product and all it needed was someone to give it the attention it deserved. I purchased the company and started giving the product line the love it needed in 2010. Things got turned around almost immediately with the ousting of the old management. We shortly after introduced the new shifting systems, electric, air and the manual backup device. We have seen fantastic growth annually ever since. Currently our main products are the selectable locking differentials and axle shaft U-joints. We sell ring and pinions and axle shafts to complement our products; however, we do not manufacture them. What makes your products stand out from others in the Jeepin’ community? Our products are designed to make the customers’ vehicles more capable and durable, so our bling factor is not quite the same as a cool-looking bumper or grille. People don’t always notice our products until they see their performance on the trails. Additionally, we are made in the U.S.A., using the best materials and processes to make them as tough as we can. As far as what makes us stand out from others in the same category, I would have to say it would be our durability and versatility. Using the same mechanically selectable locker, it can be shifted manually with a cable and shift lever, electrically or pneumatically, by switch. The designing and building is the fun stuff. Figuring out ways to make things better — and stronger — is what I enjoy. First, I would like to thank our customers for their support. It means a lot to me, personally, when I hear a customer talk about how much they like our products. Second, I would like to apologize to all our hopefully soon-to-be GM corporate 14-bolt locker customers. We announced it was coming and then got involved with the Mahindra Roxor OE locker project, and unfortunately, the 14-bolt got set on the back burner due to lack of resources. We hope to get back on that soon. Additionally I will drop a teaser, we are working on a new product line that is in testing right now and we should be able to let the cat out of the bag later in 2019! Business and pleasure have intersected for Charles and Dawn Scott, co-owners of Monkey Grips and founding members of Trail Monkeys 4×4. JCF caught up with Charles Scott to learn more about their company and their Jeep group. My name is Charles Scott, owner of Monkey Grips. My Jeep club calls me “El Presidente.” I am the president and one of the founders of Trail Monkeys 4×4, along with my wife, Dawn Scott, who is the other founder of Trail Monkeys and co-owner of Monkey Grips. Together, we run Trail Monkeys and Monkey Grips. The two are kind of tied together. When we first got our Jeep, we began getting to know the Jeep community and met so many amazing people. I started making my first set of grips for my Jeep with a roll of olive drab paracord that was given to me by a friend. After the first set, I started making grips for friends in the club, and from there, it’s all history. Here we are several years later, and now we offer so many great products besides grips. I was born in New Jersey, but have lived in Florida most of my life, almost a native. My wife was born and raised here in Gulfport. We decided to be a little adventurous once and moved to Maryland. We lived there for five years until work and family brought us back to Florida to stay and raise our family. I am employed with the City of Largo. Monkey Grips just pays for my Jeeping hobbies and parts. How long have you been a Jeeper? I got my Jeep about six years ago. When I started, there were not many clubs around. That’s part of the reason Trail Monkeys was formed. Over the years, Jeep clubs have really boomed. There were only a few big events to attend each year. Now there is something great happening almost every weekend and big events almost every month. The Jeeping community has really grown. What inspired you to start Monkey Grips? Well, it is a weird story. Our friend’s dad passed away and we went with her to help clean out his place. 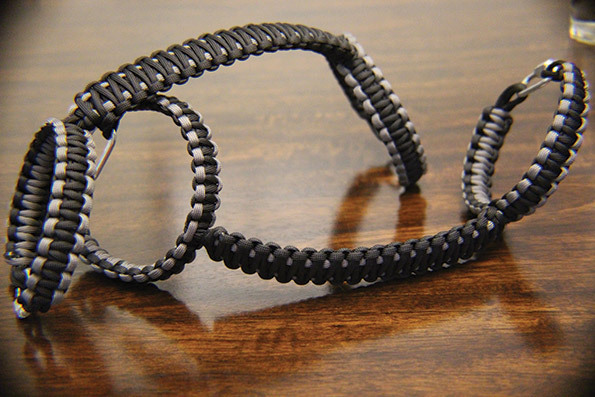 While helping her I came across a roll of olive drab paracord. She said I could have it because she had no use for it, but that she would like me to make her a few keychains with it so she could have them as a keepsake to remind her of her dad. With the help of our friend, Casey, and his work on the interweb, we made our first keychains. That is how we started. We stayed up all night learning how to make our first set of grips for my YJ, which I still have to this day. Over the years, we started to introduce new products to our inventory. So began the production of Monkey Grips. 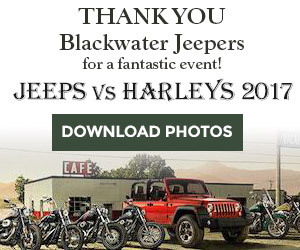 Our very first show was Jeeptoberfest in Ocala in October 2014. What type of product do you make and sell? We make rollbar grips and door-limiting straps for all Jeep Wrangler Models, zipper pulls for soft tops, rear grips to bolt into the JKU soundbar and rear JKU grips for the headrests, winch straps and hook holders, rock rail foot holders, kid-friendly grips, keychains, bracelets, large and small monkey fists, dog leashes and collars, steel tumbler handles and inner replacement YJ handles. Charles Scott is the co-owner, with wife Dawn Scott, of Monkey Grips and the president of Trail Monkeys 4×4, of which the Scotts are founding members. You can check out their products at ParacordMonkeyGrips.com. What are your most popular sellers? I would have to say we have three equally good sellers that I cannot keep in stock and sell out of at every show: the steel tumbler handles, zipper pulls and rollbar grips. Often times the tumbler handles will be gone within the first 20 minutes of a show! What is the turnaround time when ordering online? We like to keep our turnaround times consistent, whether our customer is ordering online or at a show. If we have the color in stock, the turnaround is normally two or three business days. If we need to order the color, then it turns into five to seven business days. Depending on the size of the order, the processing time can vary as well. A very large order will take longer, but that expectation is given at the time the order is placed. What events do you attend, and where do you sell your products? We sell our products online at ParacordMonkeyGrips.com. We also sell our products at the many local Jeep shows and markets around the area. My favorite shows are Jeeptoberfest and Jeepin’ with Sherriff Judd, but you can also find us at Jeep Beach, Jeepin 4 Justice, Jeep vs. Harley, Krawlin’ for the Fallen, and several local markets. We have plans in the future to add more shows to our list, hopefully even a few out-of-state events. Yes, all of our products are handmade. We do not buy and resell anything. Our products are made for Jeepers by Jeepers. That is what makes us different. Our entire family has their hands in the grip making. Everyone contributes and helps where they can, that’s what keeps us going strong. That and they’re cheap labor. … Just kidding! Everything we tie is the same over and over. We focus on keeping tight knots and superior quality. It is tedious work, but the look on our customers’ faces when they see the final product keeps us going. We love the people we meet, the friendships we have made and the smiles that are a result of what we do. Take care of each other like you would want to be treated — not just as a business owner but as a Jeeper. When we started Monkey Grips, a wise man told me that, to have a successful business, treat everyone equally, whether it’s the $1 spender or the $1,000 spender. Treat them the same and you will never fail. So, to this day, I try and stick to that. Whether you’re buying a dollar keychain or forty-five dollar grips from me, they get the same attention. I feel like my customers really appreciate that in our business. That is why we are still going strong. Tight knots tied by Jeepers for Jeepers. Come see the difference you can feel.